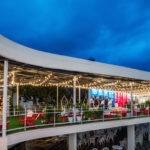 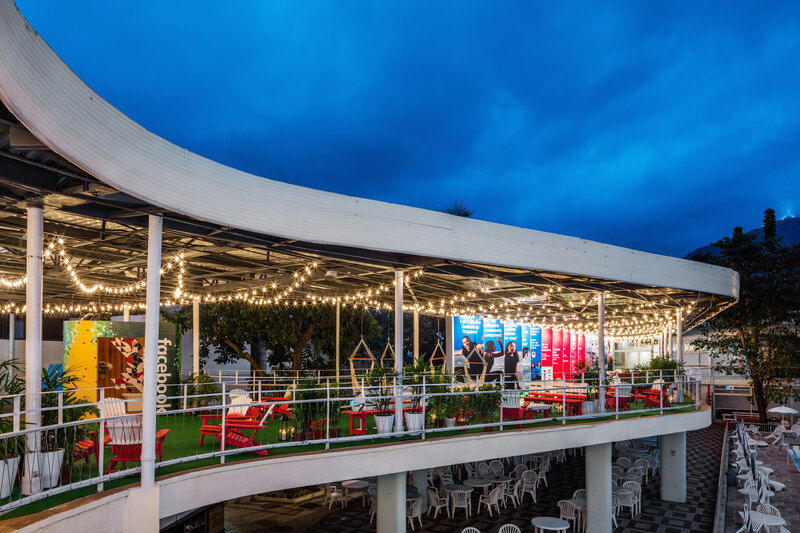 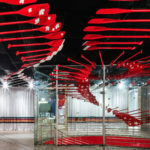 In an impressive feat, the entire project (assembly and installation) had to be completed in less than two weeks, and will have to be broken down in the same amount of time. 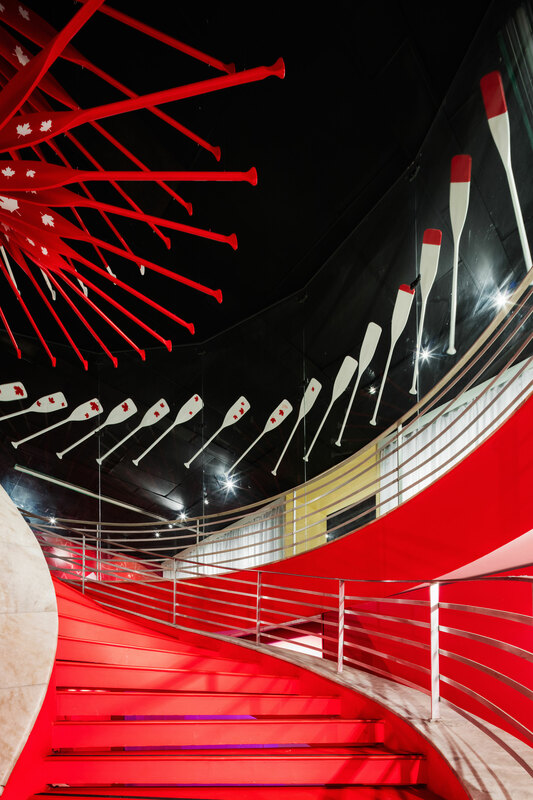 The quick turnaround inspired much of the design, which uses simple, low cost materials. 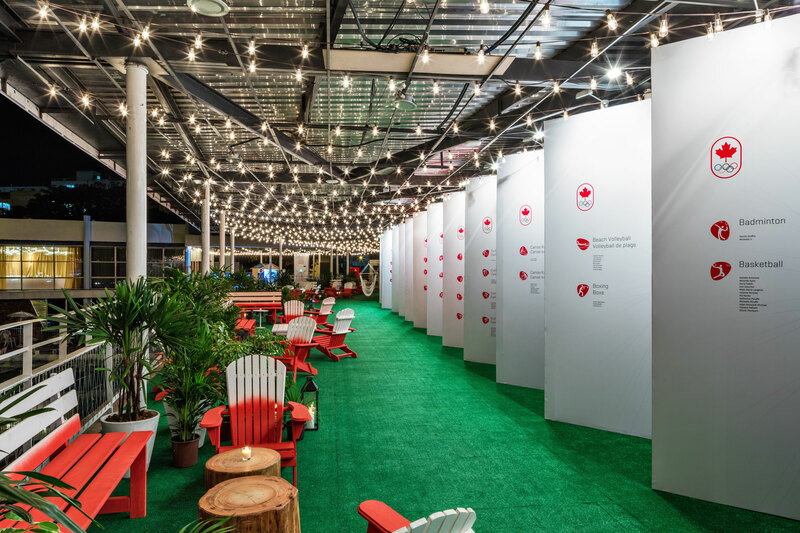 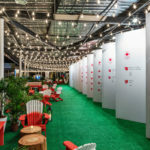 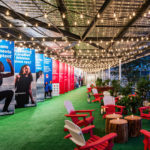 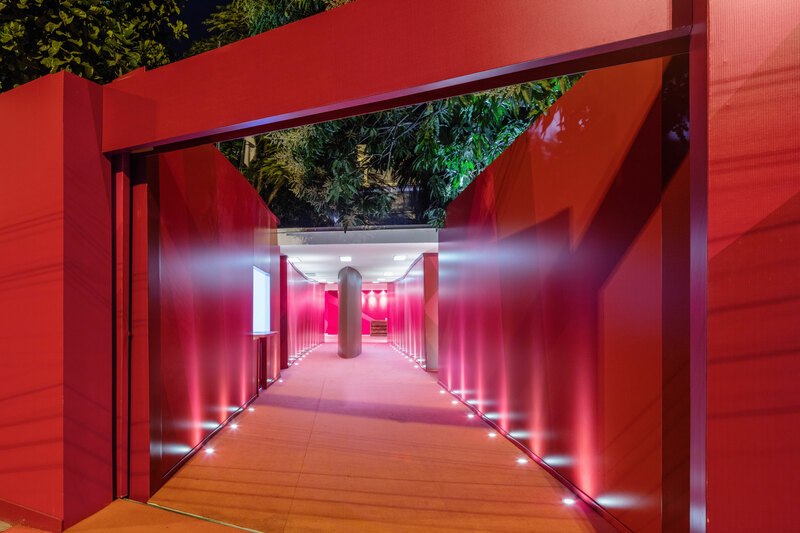 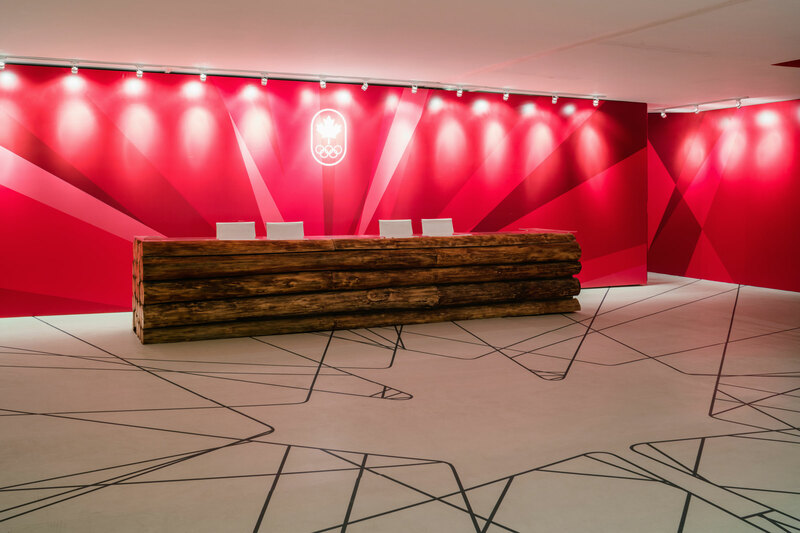 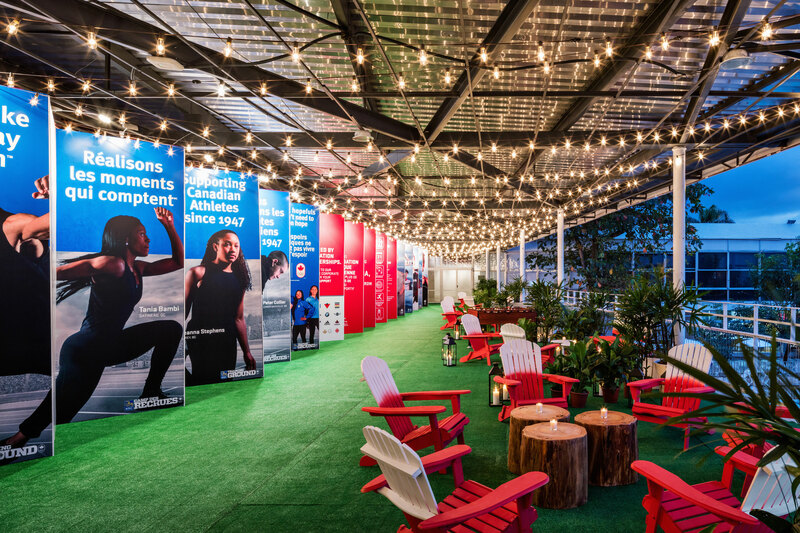 The entry features a bold, red 8-foot-high hoarding printed with white lettering that welcomes visitors and leads to a lobby that features a bright white vinyl floor printed with Canadian Olympic Team graphics. 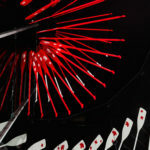 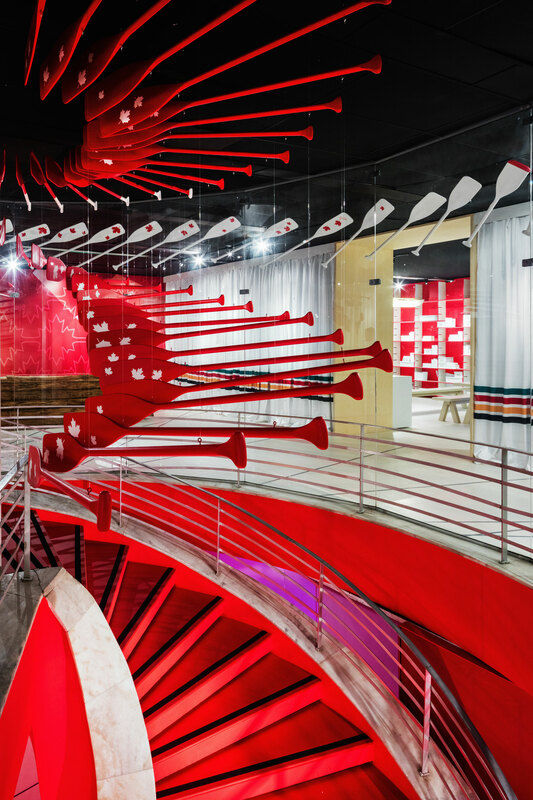 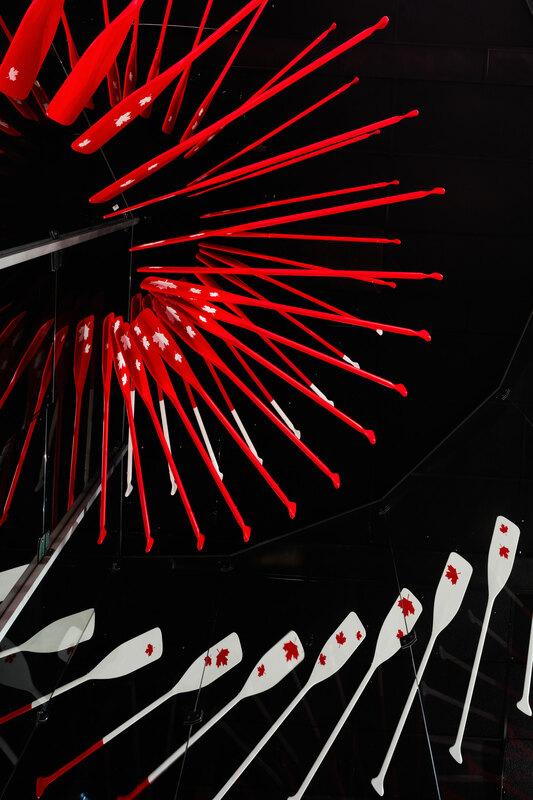 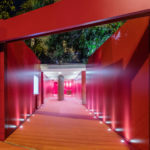 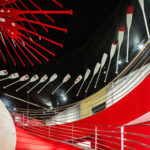 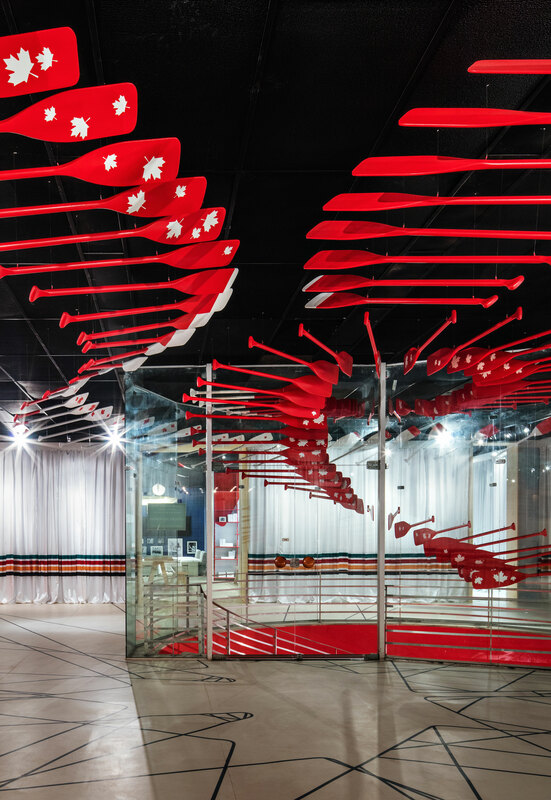 In the spiral stairway leading to the second floor is a mobile made of suspended red and white canoe paddles designed by Toronto-based artisans Moss & Lam Art Studios that guides visitors up to the celebration lounge. 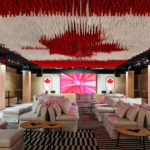 The lounge is furnished with modular furniture from the Canadian Tire Canvas Collection, which is interspersed with custom made tables by Saint-Damase Furniture. 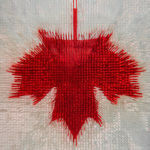 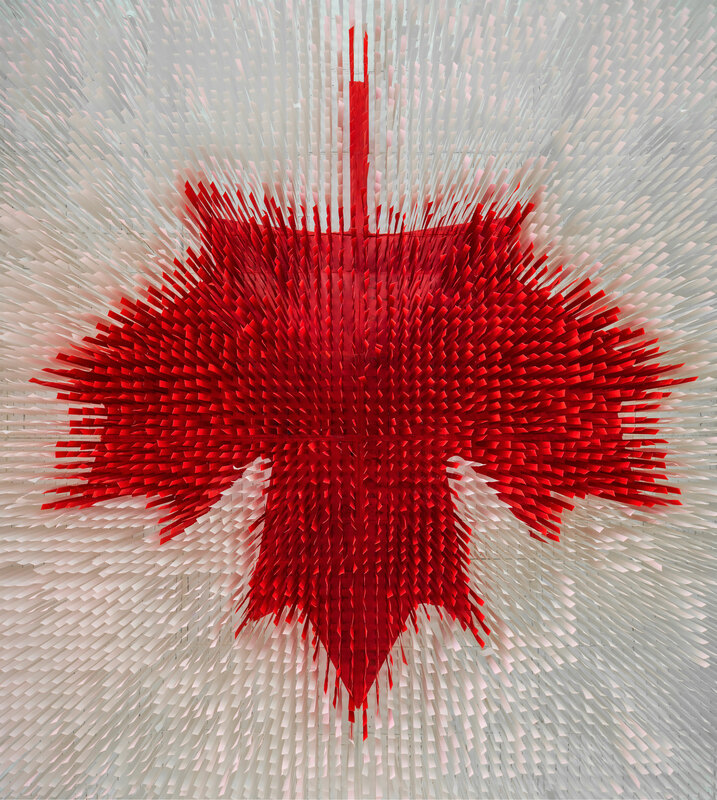 A deconstructed Canadian flag made of strips of painted canvas, also by Moss & Lam Art Studios, is suspended from the ceiling. 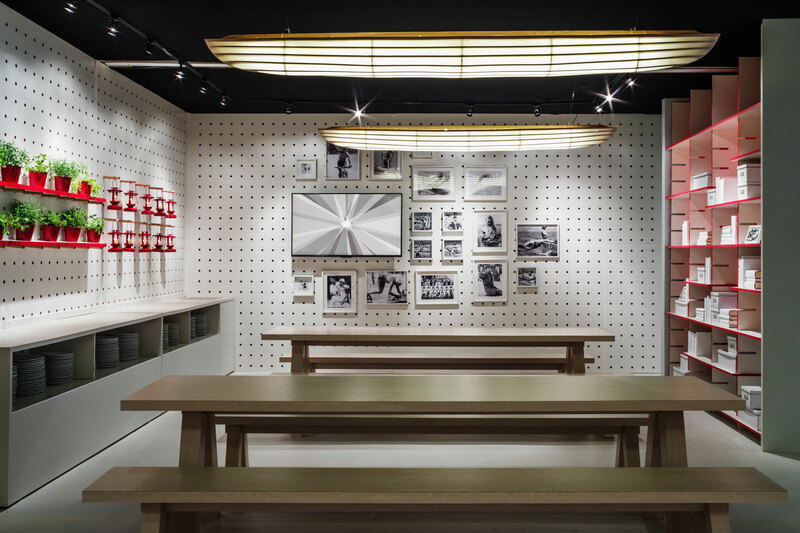 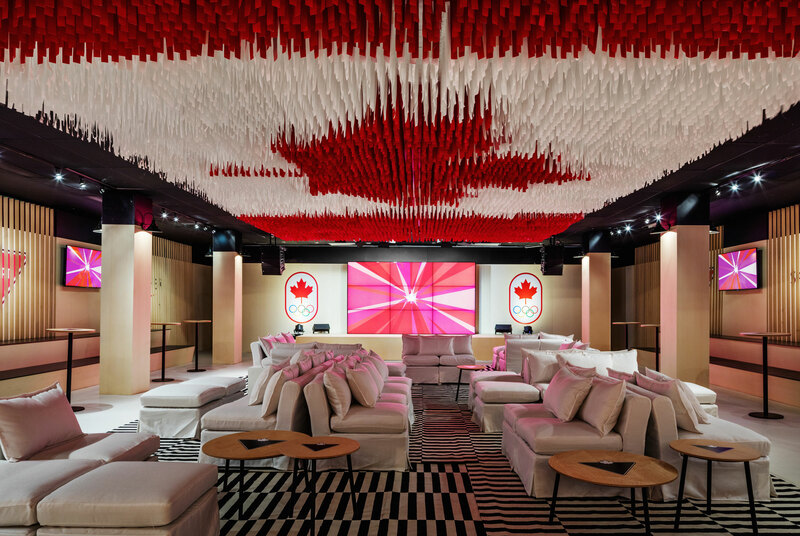 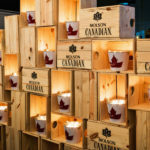 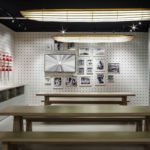 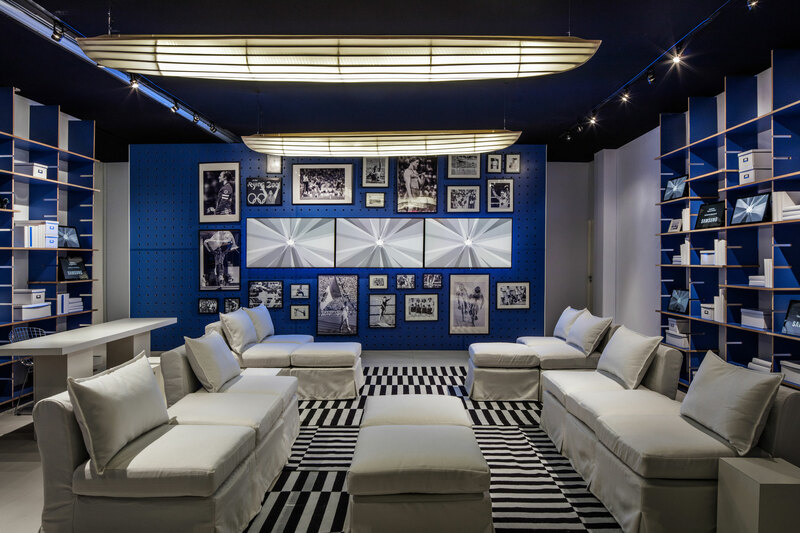 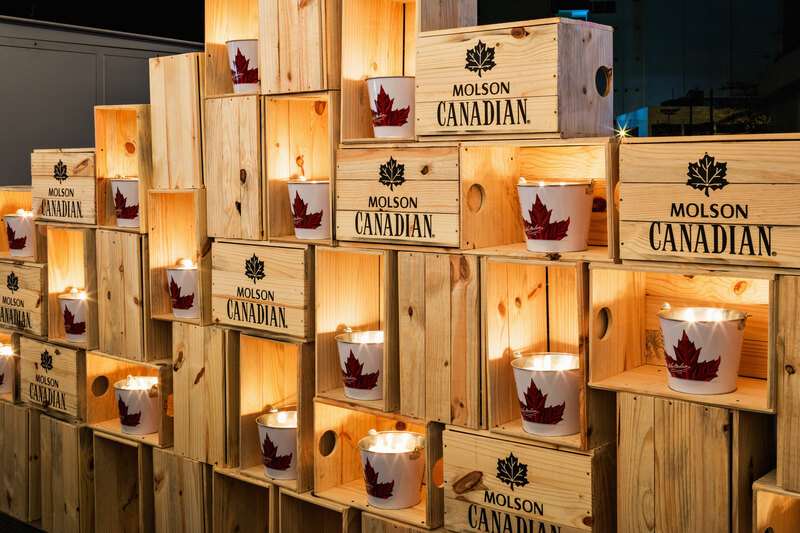 The Petro Canada Pantry is stocked with snacks and illuminated by three glowing canoes—custom made by a Canadian artist—alongside vintage photos of Canadian Olympic athletes. 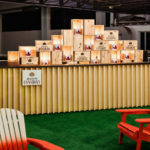 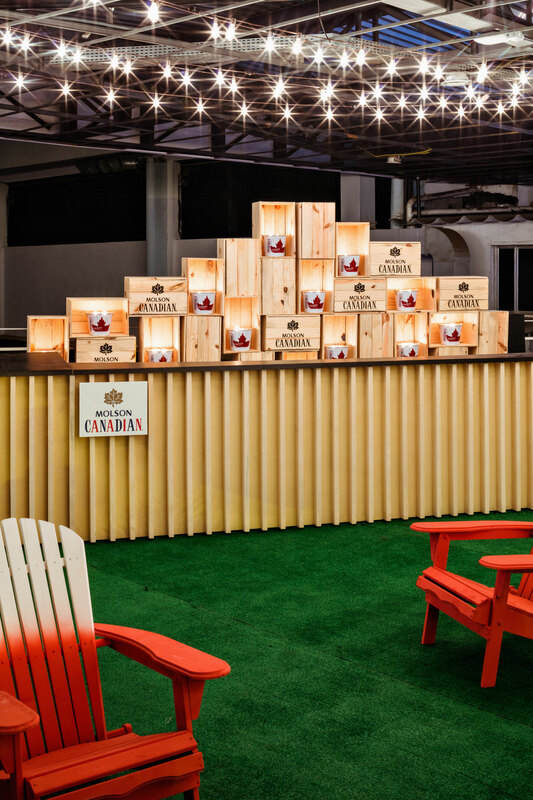 In the backyard terrace red and white ombre Muskoka chairs evoke a “quintessential” Canadian yard. 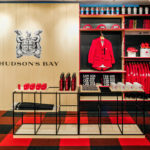 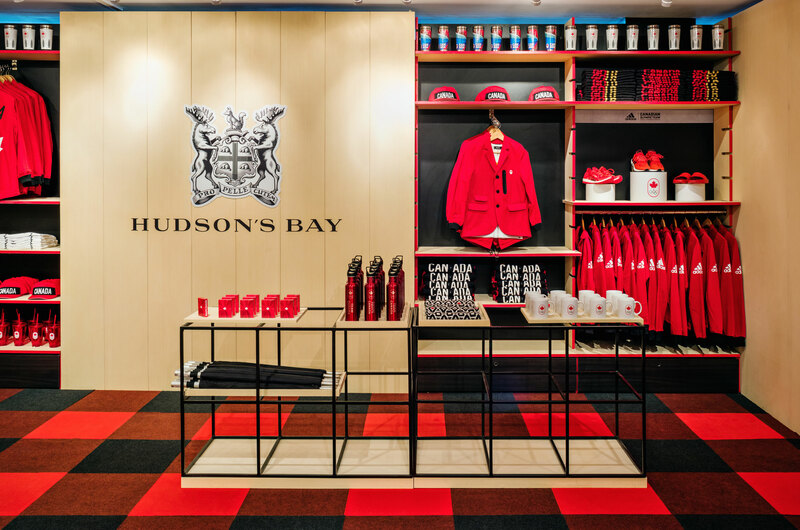 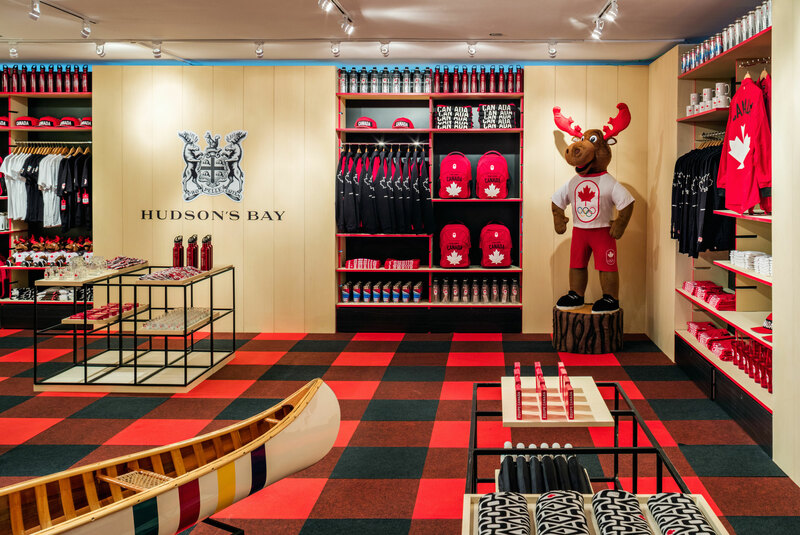 Finally, the team store is inspired by a modern log cabin and features goods from Hudson’s Bay, which also provided textiles for the project, as well as plenty of #TeamCanada merch.